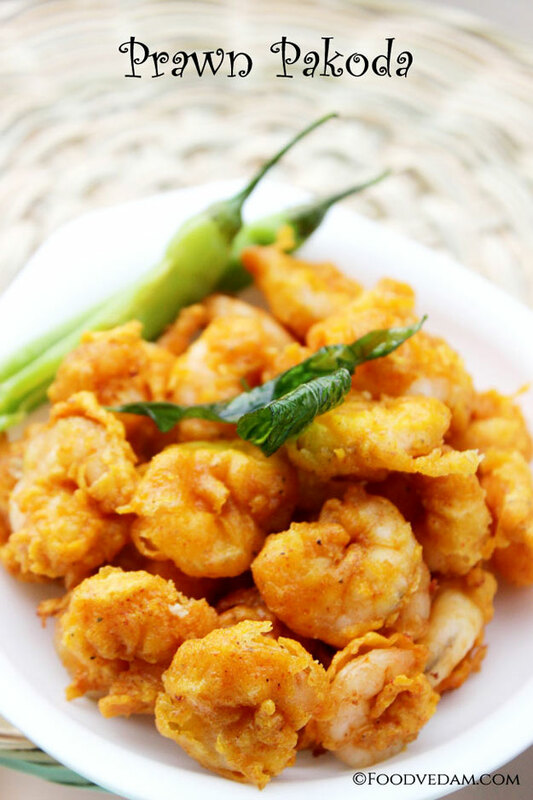 Prawns pakoda is very quick and easy,spicy and crispy,tasty and tempting appetizer.fresh prawns are coated with chickpea flour or gram flour and deep-fried in oil.if you have any problem with chickpea flour(gastric problem) you can use corn flour instead.here in this recipe i used both the flours. 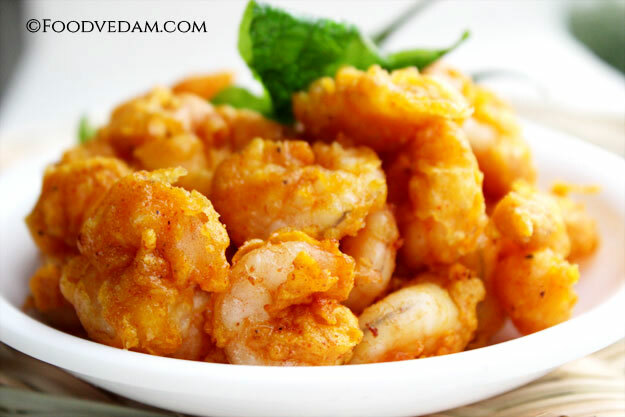 shrimp fritters or prawns pakoda – a tasty and tickling treat for taste buds. rinse prawns thoroughly,add turmeric powder,salt,red chilli powder,black pepper powder,ginger & garlic paste and mix well. add chickpea flour,corn flour,baking soda. add very less water,mix again and keep aside. when the oil is hot drop the prawns into the oil carefully. fry them till they turn into nice golden color and take them on to absorbent paper. slice green chillies into 3/4 th lengthwise and deep fry them until soft. deep fry fresh curry leaves until they become crisp. 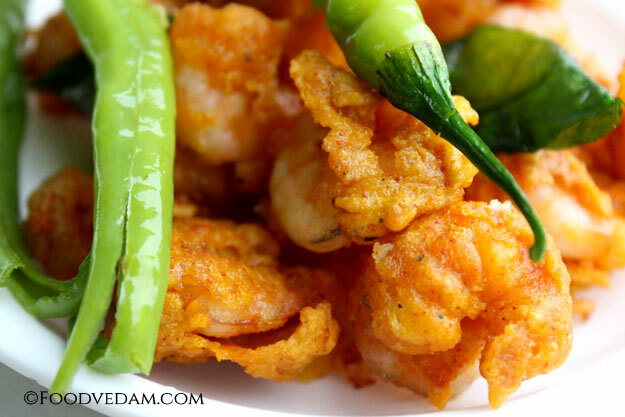 garnish prawn pakodas with fried green chillies and curry leaves. 1.serve them hot with garlic sauce or cheese dip. [br]2.do not mix the prawns with much water otherwise they will absorb more oil.